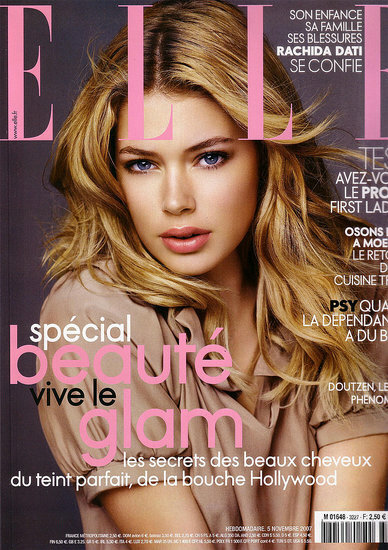 Will the massive money jobs ever stop for the Dutch wonder called Doutzen? L'Oreal as far as the eye can see booked alongside Calvin Klein Eternity. And she still keeps her blue chip editorial stock up in magazines like Vogue and W along with high powered contracts for Calvin Klein White label with Mikael Jansson, a powerful L'Oreal contract, and fashion campaigns and/or contracts for diamond powerhouse Debeers, lingerie superpower Victoria's Secret, and 7 for All Mankind jeans. In February 2010, Kroes returned to the catwalk during fashion week for Prada with fellow Angels Alessandra Ambrosio and Miranda Kerr. Prada was praised by former editor-in-chief of Glamour, Cosmopolitan and Marie Claire magazines in her blog for using a curvy model such as Kroes for the fashion show.